When the railway was extended to the North Shore in the 1890s, these suburbs experienced enormous growth and suburbanisation. A subsequent increase in subdivision and land sales changed the character of the area, attracting affluent residents with a tendency to build large houses on substantial areas of land. In due course, many of these estates were further subdivided, and further homes constructed on smaller parcels of land (‘Bill’)(Noel Bell Ridley Smith, 1998). The railway station was built in 1888 and has an important heritage relationship with its landscaped gardens; it has been preserved as an example of an historic Edwardian station.Gordon’s railway station opened in 1890. A shire encompassing the area from Willoughby to Hornsby was formed in 1906 and called Ku-Ring-Gai, after the Chase, which had been established in 1894. In 1928 it became a municipality with its headquarters in Gordon (designed by architect, artist and writer, William Hardy-Wilson) on the Pacific Highway (Pollen & Healy, 1988, 113, with additions by Stuart Read, 22/7/2010). Another notable home in the area is Tulkiyan, located on the Pacific Highway. This home was designed by Bertrand James Waterhouse, an architect who was popular for his residential work (he was also responsible for the design of Nutcote, the home of painter May Gibbs). 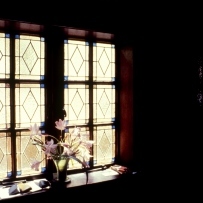 The Arts and Crafts style favoured by Waterhouse was just one of the styles that were part of the Federation period that went from 1890 to 1915. 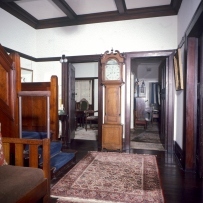 Other prominent styles were the Federation Queen Anne style — the Australian version of the English Queen Anne style — and the Federation Bungalow style. Some notable examples of the latter style can be seen in Nelson Street, Gordon. Other architects who favoured Federation styles were Walter Liberty Vernon and Howard Joseland. Tulkiyan was built on part of the 40 acres of land that had been granted to Michael Ansell on 30 June 1823. In 1824, the 40 acres was sold to William Fowler, who then leased it to Messrs. Giles and Ritchie. It was further mortgaged to Samuel Lyons, an auctioneer, who, in 1843, finally disposed of the property to Robert McIntosh II who was already a landowner and occupier of other substantial properties in old Lane Cove. In 1913, Lot 1 Section of the McIntosh estate was purchased by Mrs Mary Donaldson, wife of merchant William Donaldson, who ran the City Free Stores in Kent Street, Sydney (along with three other properties located opposite, between the present Bushlands Avenue and St.John’s Church). The land was one rood, 32 perches in area, and accessible to the railway station. Mary Donaldson had admired the houses of several of her friends built by architect B.J.Waterhouse of Waterhouse & Lake Architects. Shortly afterwards the Donaldsons commissioned B.J.Waterhouse of Waterhouse & Lake Architects to design their new home. The original cost of the house was 2147 pounds. The house was designed as a two storey villa, constructed in brick with a terracotta shingle roof, and designed so that the majority of rooms had their own private outdoor area or patio. Homes opposite the Donaldson property, between the present Bushlands Avenue (formerly Gertrude Avenue) and St John’s Church were Cranbrook (occupier Patrick Deery), Kai-Ora, (occupier George West), and Kinawanna(occupier Rev George Brown, a Methodist missionary). 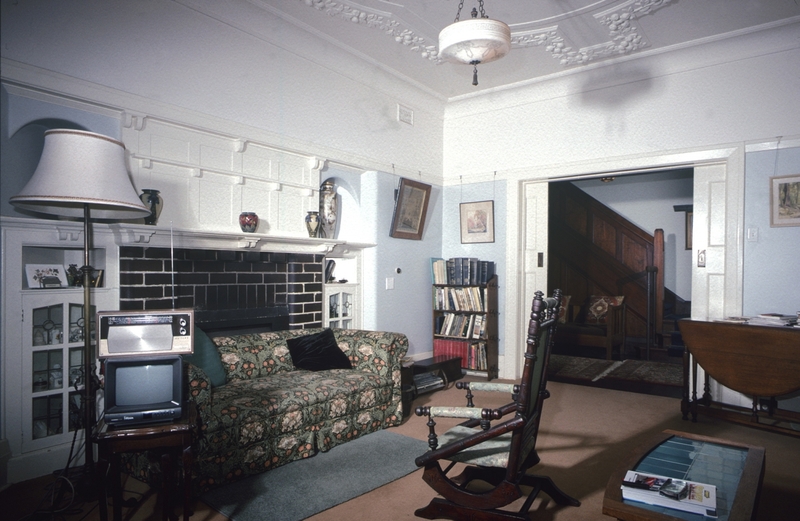 Tulkiyan is a remarkably intact survivor of a distinctive phase in the development of domestic architecture in Australia. It is a substantial two storey brick residence located on the north eastern side of the Pacific Highway at Gordon NSW. A year after the house was completed (NBRS, 1998, 12) / 1916 (ibid, 14) a timber framed garage was built near the north-west corner of the house, to accomodate Mr Donaldson’s first car, a Studebaker. This was subsequently demolished because of white ant activity following Council’s acceptance of the property (in 1985). The main entrance to Tulkiyan is through a timber gate located under a brick arch with terracotta tile detail in keeping with the detailing of the main house. Two large lily pilly trees frame the brick lych gate to the Pacific Highway front. The gravel driveway (edged with a low brick wall; and a stone wall to its north) is located at the north-western corner of the site, and is entered through this pair of timbered gates. The driveway leads to a garage north-east of the house’s rear corner. The gravel path curves across the block towards the front door, joining up with the driveway. On the southern side of the house a sandstone path leads to the rear. An area of lawn is to the house’s west, south-west and south. In the lawn to the house’s south-east are two beds of roses. A rear garden behind the garage has a shed, incinerator, compost heaps, brick path and areas of garden beds, more lawn and trees lining the north-eastern, eastern and southern boundaries. A layout plan of the garden was prepared in 1987, identifying all plantings (trees, shrubs, herbaceous plants). 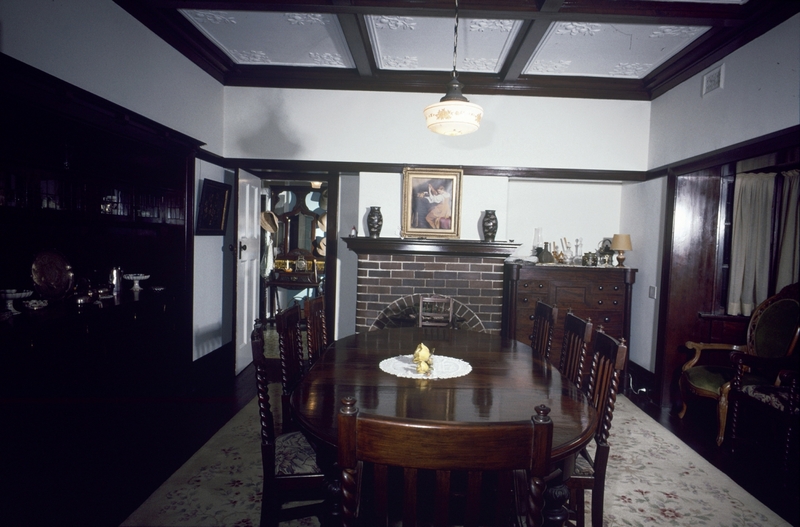 The design of the house, together with their contents, represent the taste and lifestyle of the upper middle class in Sydney prior to World War 1, and document the building’s ownership and occupation by the Donaldson Family for 80 years with a minimum of alteration from the original 1913 house. 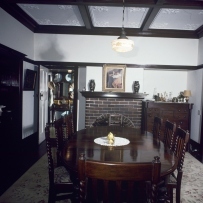 The ownership has remained in the one family from the commissioning of the architect to its bequest to Ku-ring-gai Council by Miss Margaret Donaldson in 1985. 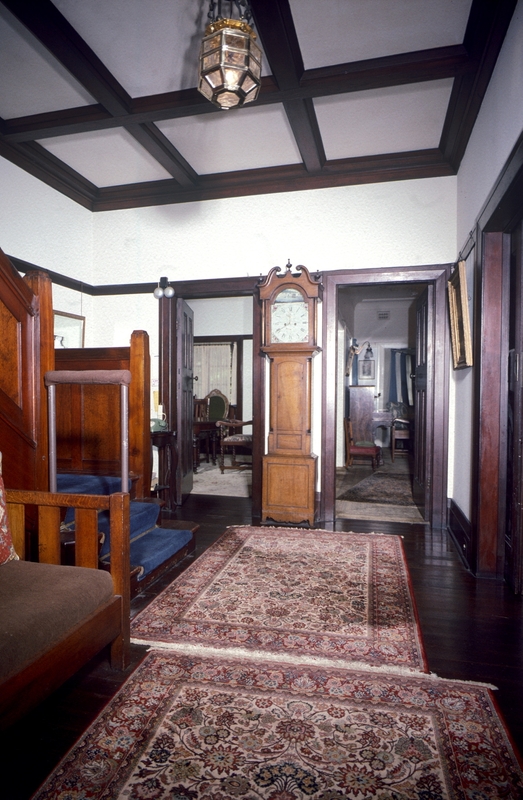 The largely intact interior is furnished with most of the original contents of the house. There is comprehensive documentary evidence relating to the house, family, contents and garden. 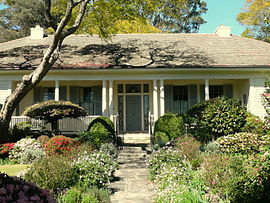 The house and its garden setting also represent the suburban expansion of Gordon during the early twentieth century (Noel Bell Ridley Smith, 1998, 43). Tulkiyan is an Arts & Crafts style suburban villa designed in 1913 by architect B.J. (Bertrand James) Waterhouse (1876-1965) of Waterhouse & Lake Architects. 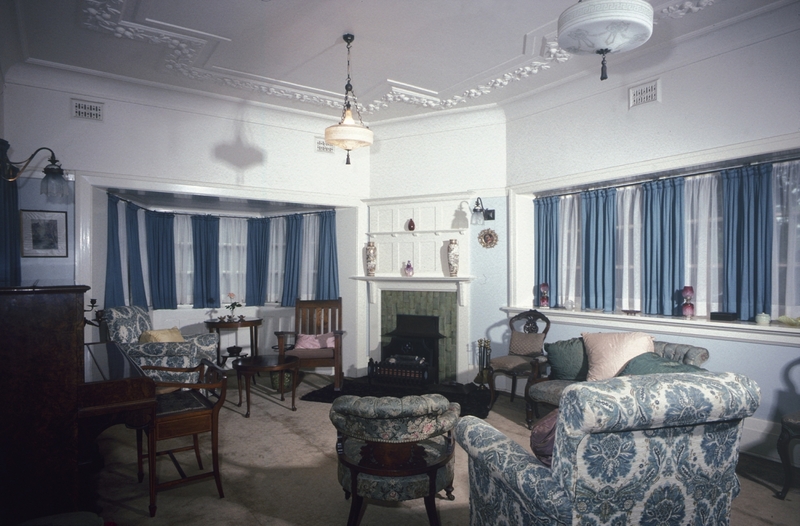 The house was built for Mrs Mary Donaldson and her husband William, a Sydney merchant. It remained in Donaldson family ownership and occupation for 80 years, with minimal alterations to furnishings and building fabric. When the last of the family, Miss Mary Donaldson, died in 1994 aged 91, Tulkiyan became the property of Ku-Ring-Gai Council. As a house museum, Tulkiyan illustrates the early 20th century fashion, taste and lifestyle of an Edwardian family on the affluent upper North Shore of Sydney. 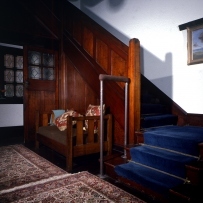 The largely intact interior is furnished with most of the original contents of the house. 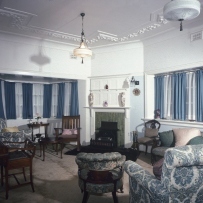 Furniture bought from David Jones in 1913 was simply updated in 1930 through the replacement of worn carpets and a re-covering of dining chairs. The original front garden layout also remains, along with remnants of early plantings, including lily pilly trees on either side of the main gate. 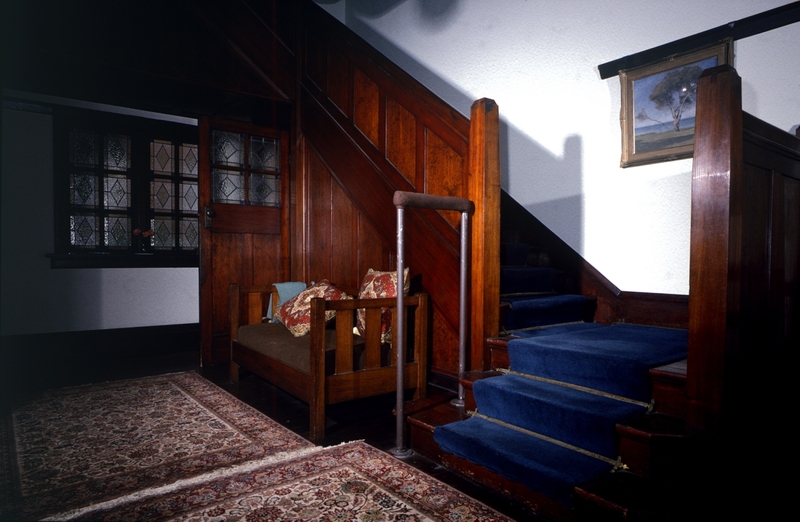 Tulkiyan’s asymmetrical form, gables, shingle roof, wall finishes and bay windows are also typical of the period and the dark stained timber joinery of the interiors, decorative plaster ceilings and Art Nouveau style gas fireplaces are all synonymous with the Arts and Crafts architectural style. 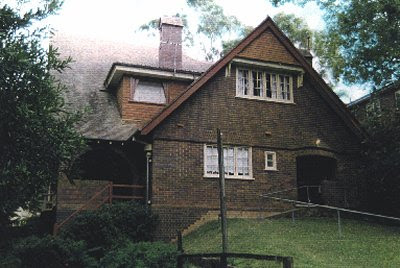 Tulkiyan is listed as an item of State significance on the NSW Heritage Register. 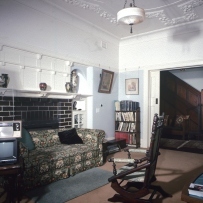 This photographic documentation was undertaken after Miss Donaldson had bequeathed the property to Ku-Ring-Gai council but while she retained tenancy. Ryder, J, From Nutcote to Elwatan: the art and architecture of B.J. 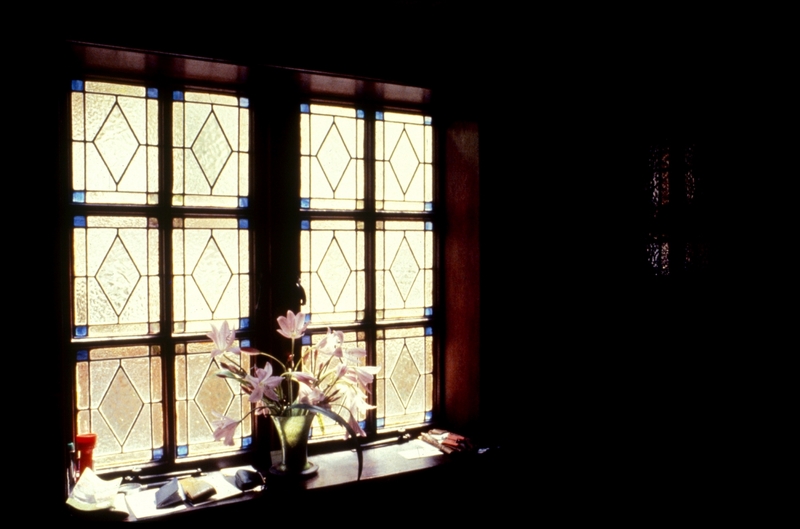 Waterhouse, Mosman, NSW: Mosman Art Gallery, 2004.